Review of Cinder by Marissa Meyer | What YA Reading? Now picture her as a witty cyborg with major mechanic skillage, but minus the passive attitude. And the ‘ella’. I think we all know who wins this battle. 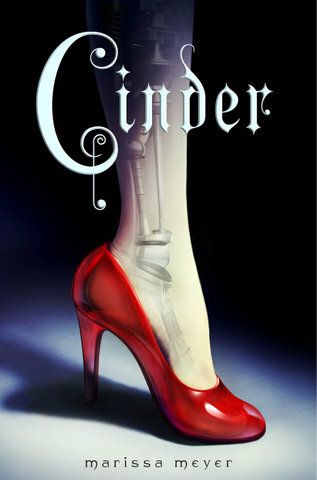 And that’s Marissa Meyer’s delicious, light, airy, and addictive debut: Cinder. First of all, this novel’s world building is an amazing combination of dystopia meets sci-fi meets fantasy. I, personally, have never met such a medley before, but I do hope we’ll meet again. Possibly in Cinder‘s sequel, Scarlet. New Beijing has pretty much everything someone like me could hope for; there’s a plague–Yes! I am such a sucker for horribly contagious, murderous diseases– that kills off all those unlucky enough to be infected, with no promise of a cure in the near future. Humans who would have died or lost limbs otherwise are transformed into cyborgs: second class citizens who are to be discriminated against. These cyborgs, along with androids, may be legally owned by conventional humans. An Emperor rules the Eastern Commonwealth, while a multitude of kings, queens and prime ministers rule the rest of the world. This story takes place in New Beijing, whose current Emperor is sick… And last (but not least) there is a colony, Luna, who lives on the Moon and possesses a science-like magic that allows it to beautify its appearances. I told you this book was good! The characters in Cinder were just really… fun. Prince Kai is charismatic and fetching–everything you’d expect from a modern Prince Charming, really. Iko the android is funny and cute, faulty personality chip be darned. Cinder is sarcastic and levelheaded. I love that for most of the novel, she was not portrayed as that feeble little idealist that most associate with Cinderella nowadays. I mean, nothing says intimidating like a female mechanic who can hide wrenches in her thigh compartment. Especially one who is incapable of crying and blushing, and who can see your filed history whenever she looks at you. As for the Lunar, I would read about people who can control their appearances and make others do things– hurtful things– using bio-electricity any day. I love that Meyer was able to take a magical, fantastical aspect of her novel and justify it with a scientific explanation. That alone makes Cinder‘s sci-fi angle worth reading to all of you who (like me) don’t usually like science-fiction. Of course, the whole main character being a cyborg does help. Nonetheless, I wish that Meyer would have delved into Luna’s history just a bit deeper. Why is there a colony on the Moon in the first place? Why do they want to wage war on Earth? How did they develop the ability to control bio-electricity? Such questions are left unanswered. Another thing that I feel could be drastically improved in Cinder is the ending’s twist. Because, honestly, what would a fairy tale retelling be without an unexpected ending? But that was the problem. The ending was expected. I guessed the plot’s outcome about a quarter of the way through the book, and although this didn’t really interfere with my appreciation of Cinder, I feel as though if that twist were a just a little less obvious, I would have enjoyed this book quite a bit more. Finally, I’m giving Cinder 4/5 stars. I wholeheartedly recommend this one for fans of fairy tale retellings, magical aliens, and heroines who can stash a multitude of weapons in their legs. Pingback: Giveaway: Audio copy of Cinder by Marissa Meyer | What YA Reading? Pingback: Giveaway: And the winner is… | What YA Reading? 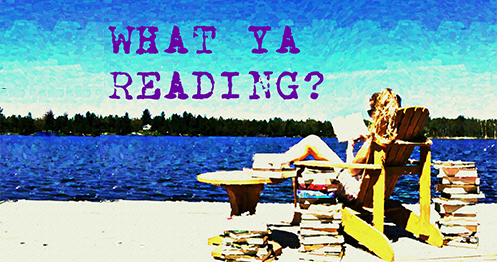 Pingback: Partials | What YA Reading?